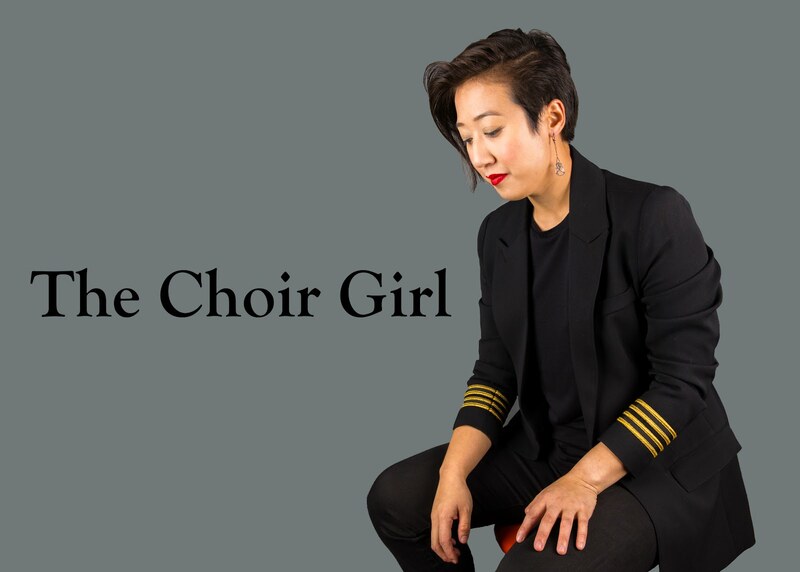 The Choir Girl: Sing and Stop Holding Back! I've currently been busy attending a set of new rehearsals for Pro Coro's 30th anniversary "Founder's Concert" next Sunday, March 20, 2011 and the founder of Pro Coro in 1980, Michel Marc Gervais, has returned to Edmonton to conduct us. I was also surprised to find out that he founded the Schola Cantorum choral program at Alberta College in Edmonton. Schola Cantorum is where I first began my choral education so it's interesting for me to finally meet the man who has indirectly had a huge influence on my choral upbringing. In a way, I wish I could have recorded what Gervais said to us during rehearsal. He is a great lecturer and has a very detailed way of describing exactly what he wants. I find that his singing terminology and imagery is specific and understandable and he provides consistent feedback. He discussed finding our "hook" and this term resonates with me as it directly links to images of tweaking my velum and superior pharyngeal constructors (soft palate and throat muscles) to produce a more focused sound. He also discussed that we should not only be thinking vertical to produce focused and bright vowels but to make sure they all have width and body. Common sense for any singer but something that is good to be reminded of. During Friday's night rehearsal, I could immediately tell he was not impressed with Pro Coro's sound. I wished I kept tally of his comments but I believe it had to be around 10:1 (neg:pos). His biggest critique was that we were not singing with our whole voice. I agreed with what he was saying. Pro Coro has the tendency to just sing on the surface, playing it safe, blending well, but holding back, and Gervais would have none of this. I must admit, I was also a contributing to this sound as I was responding to what I was hearing around me. It's frightening the extent to which there is an unspoken consensus among choral members. He preached the possibility of singing with full sound and achieving a broader palette of choral sound as result of not holding back. This is something that I agree with completely since that is something that works well in Belle Canto. However, it's harder to achieve consistency within Belle Canto. Belle Canto voices are always changing depending on availability, and when you build a choir on full-bodied sound, each singer is absolutely vital to the choral sound as whole. When Belle Canto is missing a chorister it sounds like somebody has punched a hole through the core of our sound. Gervais was very clear in that he didn't want us to push our sound, but that it's equally as damaging to hold back and not sing with our full voice. He also empathized that he understood our fear, singing with full voice is not an easy task within a choral setting... especially when it's a smaller ensemble of 24 singers. Ultimately, I believe what he was getting at is that Pro Coro needs to take risks. If we aren't taking musical risks and giving audiences the entire spectrum of our sound, then how are we supposed to make memorable music? I think he has a very valid point. Gervais also remarked that he does not believe there should be a difference between a choral singer and a solo vocalist. If this was last year, I would have argued that there's a huge difference. However, if I subscribe to his definition of a full-bodied choir, then choral singers should be singing as if they were soloists and listen to the other parts to create ensemble. The rehearsal this morning went much better. I could hear people playing with the different resonant peaks in their voice to produce a focused and full-bodied sound and it was getting closer to what he wanted. There was a moment where he gave some positive feedback about our musical interpretation of Monteverdi's "Sestina," which requires a light and dainty tone, by remarking that it's the kind of music perfectly suited for us. Everyone seemed pleased but was it just another of saying that we're still not achieving the full-bodied sound he's looking for? Maybe it's me being overly sensitive and negative but I only heard the thinly veiled negative meaning of his positive comment. I will attribute my skepticism to my cultural upbringing where I often needed to decode meaning from indirect comments. Pro Coro rehearsals continue for the rest of the week and culminates with concert on Sunday. If you are interested in attending you can find out more details here. I will keep you posted on the progress. Plus, on Monday Belle Canto will be participating in a community choir workshop with Simon Carrington-co-founder of the King's Singers with the Canadian Chamber Choir. Should be a fun evening!